Our favourite time of year is upon us! 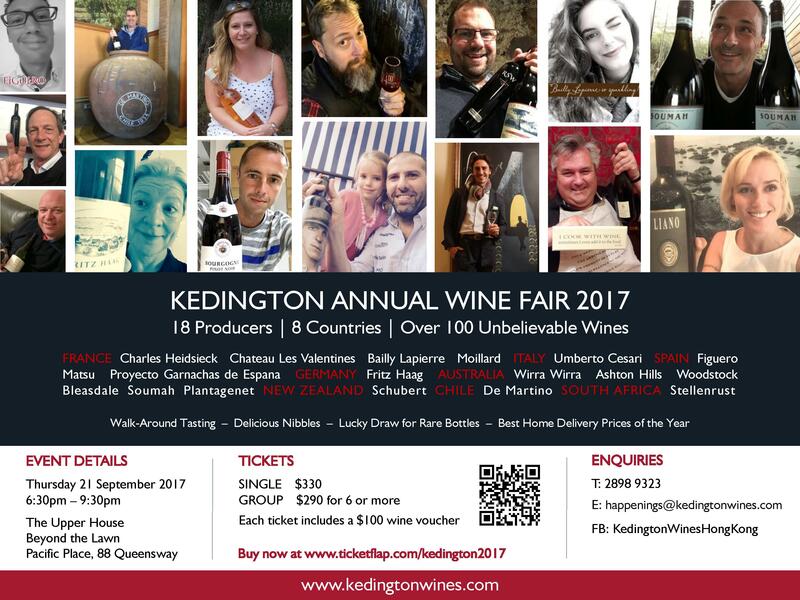 The Kedington Annual Wine Fair is taking place on Thursday, 21 September 2017. This year we will be welcoming 18 producers from 8 top wine producing countries, including some familiar favourites as well as a few exciting new faces. 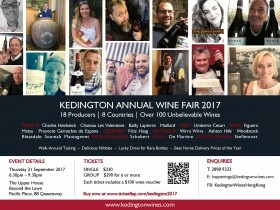 For many, this will be their only trip to Asia for the year, making the Kedington Annual Wine Fair an exclusive opportunity to meet these unique wine personalities. 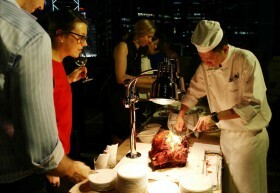 Not only will there be special one-time offers on all of the wines on show, guests will also stand a chance to win rare large format and library vintage bottles during the much-anticipated Lucky Draw. Tickets are available directly from Kedington Wines or via TicketFlap.